Ask neighbors on either side of you if there are children who live on the street or in the neighborhood. You can also peek into yards to see if there are any signs that kids live in that house, looking for swing sets, bikes, and other toys. Neighborhood parks are a great place to meet other kids and parents. Children often spend hours in the park, which allows your child time to meet other kids and to spend time outside. It's also a great place to meet other parents and find good adult friends. If your neighborhood doesn't have a park, look for schoolyards that are open after hours and on weekends or local soccer fields or baseball parks or other sports centers where families meet and mingle. Most neighborhoods have a community center or swimming pool or local fitness center. Community centers are a great place to meet other families. Check out kid-friendly activities, events, and weekend parties. Some centers also have daycare facilities which will give your kids a chance to play with other kids while you do something fun for yourself. 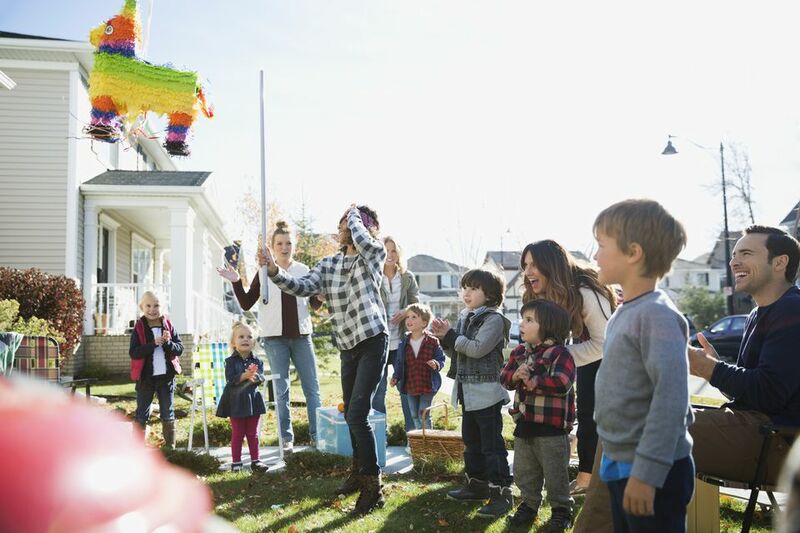 Invite neighborhood children to your home for an afternoon party. If you've moved during the school year, also invite kids from school or the playground. Keep it simple, encourage parents to come so you can also meet new people and accompany your child around the neighborhood to deliver the party invites. Again, it's an excellent way for you and your child to get to know the area. Join a local recreation center or a community club. Most activity centers have classes for kids, family swim times and other recreational programs. Join with your child, so he or she feels comfortable. Speak to the staff and ask what other opportunities exist in your neighborhood. Staff are a great resource when you need to learn about a new place. Look for neighborhood flyers or bulletin boards that announce events and local activities. Also, look for local newspapers that will list stuff to do and things that are family friendly. Check online, too. If you can't find any local information, check with your librarian who can provide some resources. The library is a fantastic place to meet other parents and children. Again, staff can provide significant information on what's going on in the neighborhood and can point you towards family-friendly activities. Get a library card then spend a few hours in the children's section, checking out the books and letting your child interact with others. If you have neighborhood stores that cater to children, whether they specialize in kids' clothing, toys, or books, often the staff can also provide information on things that are going on in your neighborhood. Stores often have bulletin boards with postings on events and activities. Bookstores are a great place to meet other parents and to find out about readings and activities that your child can attend. Sometimes all you need to do is to get outside. Spend time in your front yard with your child or go for a bike ride, a walk or hang out on the front porch. The more time you spend outside, the more likely you are to be discovered by neighbors and local kids.